The Other California is the story of the places in the state that aren't found on all the postcards. I'm finding some subject material in the familiar places that turn out not to be so familiar. Mt. Shasta is an example. 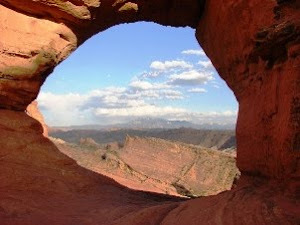 The mountain is one of the most famous sights in the state, and people come to the mountain for many reasons: contemplation, climbing, skiing, hiking, and searching for errant Lemurians and Atlanteans. Everyone seems to refer to Mt. 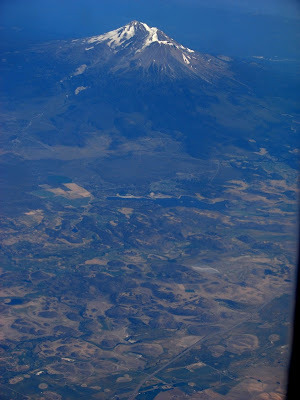 Shasta as a single mountain, but a brief look at the peak shows it to be actually five distinct volcanoes. Mt. 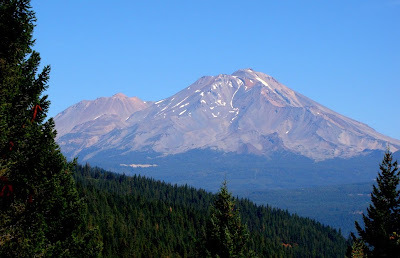 Shasta is often referred to as a stratovolcano, due to the alternating layers of volcanic ash and andesitic lava flows making up the structure of the mountain. It is often compared with symmetrical cones elsewhere in the world, such as Fujiyama in Japan and Mayon in the Phillippines. A different term, composite cone, is probably more descriptive. At least five major cones make up the edifice, erupted at different periods over the last 600,000 years. The two youngest volcanoes, Hotlum Cone and Shastina are the most obvious of these multiple cones. 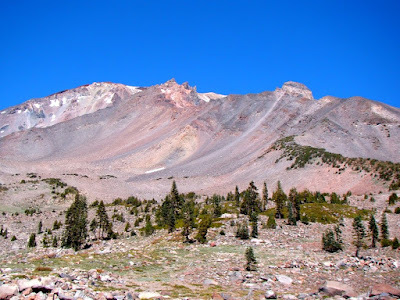 Shastina, at 12,330 feet, is technically the third tallest volcano in the Cascades even lumped as it is with Shasta (it is the prominent peak on the left side of the photo above). It erupted during a series of eruptions around 9,800 years ago. Hotlum Cone, the highest summit of the volcano, began erupting about 9,000 years ago, and has erupted numerous times since, including a possible eruption only 200 years ago. It is the most likely source of renewed activity on the mountain. A drive to the end of the Everitt Memorial Highway at Panther Meadows provides a look (above) at two of the older cones. From the parking area Hotlum Cone is not visible. Instead, the upper flank is Misery Hill, and the jagged peaks to the right are Sargents Ridge. The Misery Hill Cone began erupting around 50,000 years ago, while Sargents Ridge is closer to 200,000 years old. Both cones are deeply scored by glacial erosion, and retain little of their original shape. I've outlined the cones in the photo below, including an approximate guess about the location of the Sargents Cone summit (note the slope of the layers). The fifth volcano is the most enigmatic of all. It pretty much doesn't exist. The mountain developed prior to 360,000 years ago, but for a long time, no one knew where it went. Erosion could explain why it is gone, as could a massive explosion. It wasn't until 1980 that the actual explanation became apparent. 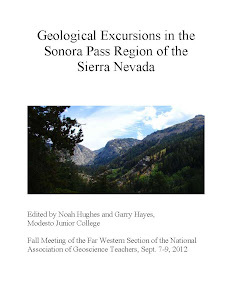 There is a vast area of knobs (called hummocks), small valleys, and ponds extending for 28 miles north of the volcano, almost to the town of Yreka. Geologists didn't quite know what to make of it, and it was mapped as a cinder cone field, which strangely had a consistent composition. Then Mt. St. Helens happened. The St. Helens eruption was precipitated by an earthquake that shook the north side of the mountain loose into the largest debris avalanche ever witnessed by human beings. It traveled twelve miles down the Toutle River valley, and produced a unique topography: hummocky. As the dust settled at St. Helens, geologists knew they had an explanation for the strange landscape north of Shasta. Between 360,000 and 300,000 years ago, about 11 cubic miles broke loose from the volcano and flowed 28 miles, more than twice the distance of the 1980 event. So far as I know (I'm open to corrections), it remains the largest landslide known in North America. The hummocky avalanche is visible in the aerial photo below (another view can be seen in one of my earliest blogs here). Another great post Garry. I remember when I worked at St Helens and the hummock idea was translated to Shasta. Hey, I'm Changing Religions: Get Rich Quick!